Your answer to the fastest, easiest, and most dynamic report writing in Excel is here. With a drag-and-drop interface for Designers, Jet Browser gives you expansive, multi-dimensional formatting capability with enhanced data access to build advanced reports, exactly the way you want. 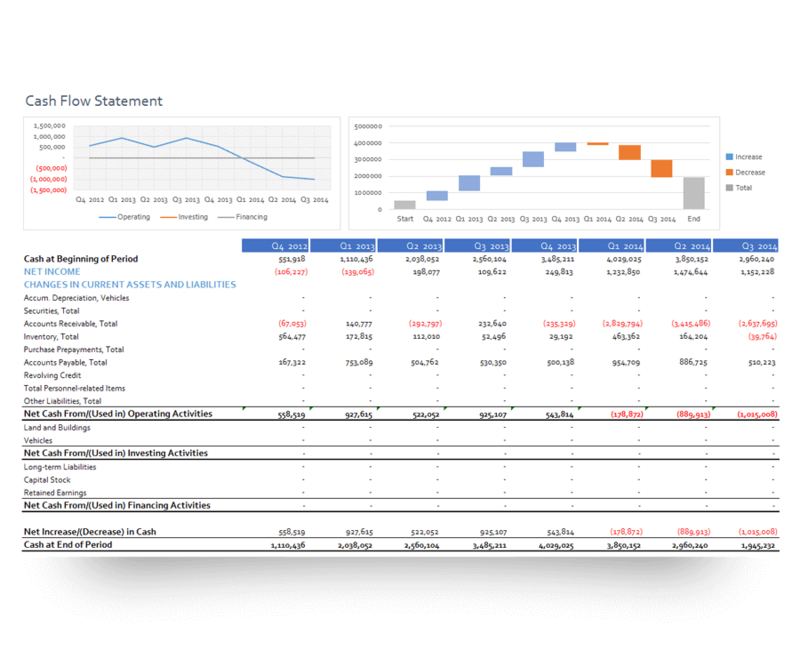 Jet Browser allows you to select the fields you need, drop them into the Excel, and then it literally writes the Jet formulas for you – producing dynamic reports automagically. Stop using manual, error-prone workarounds that hinder report performance and take too much time. Make a single report, multiple reports in seconds to significantly minimize report management and effort. For example, you can create a departmental balance sheet for every company by simply dragging and dropping GL by Rows, Department by Column, Company by Sheet, and Balance Subtotal at the intersection – watch Jet Reports do the work for you. 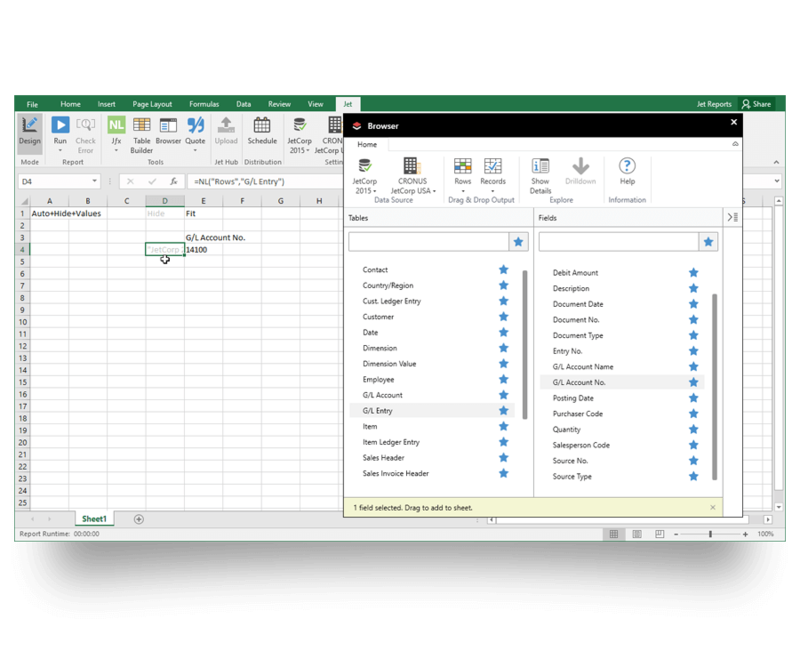 With help from Jet Browser, you can build the reports you need with the right data directly inside Excel. Access every single table, field, and company from Dynamics, including customizations and third-party add-ins. 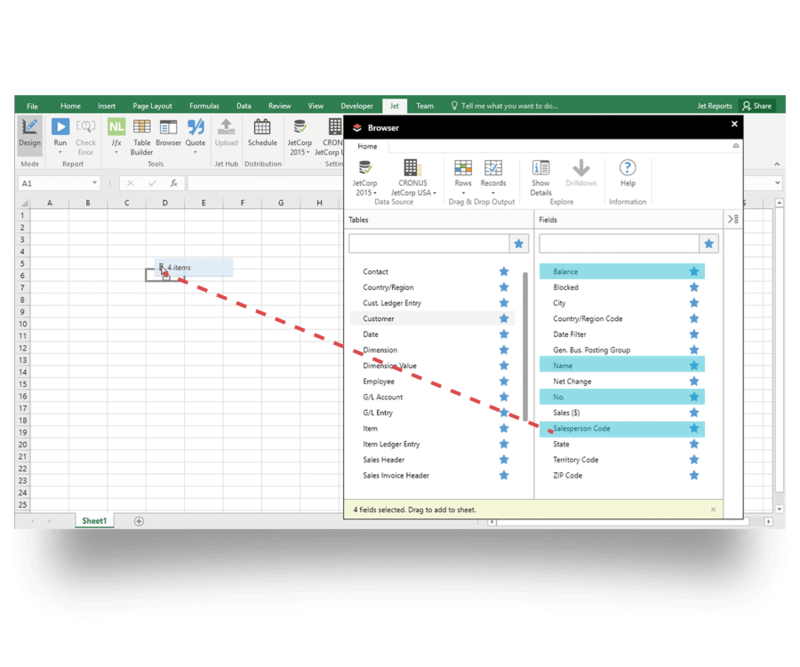 Also access external data sources and combine with Dynamics data in one place. Format Reports Exactly the Way you Want with Jet Browser!